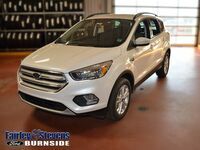 The new 2019 Ford Escape is made for you, built to be connected, confident, and adventurous, capable of delivering a driving experience that is hard to beat! This excellent SUV offers amazing power, great space, and impressive safety, all guaranteed to please you! 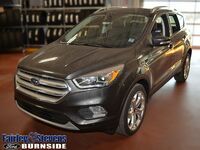 However, the new Ford Escape is not the only great vehicle on the market, especially in the packed SUV market! The new 2019 Kia Sportage is packed full of amazing features, guaranteed to challenge the Ford Escape! Choosing between these two great vehicles can be difficult, but we at Fairley & Stevens Ford are here to help! We’re experts in comparing vehicles and their features, allowing you to find the best deal possible for you! Continue reading below to learn how they compare! 2,000 lbs. Towing Capacity 1,650 lbs. 68 Cubic Ft. Maximum Cargo Space 60.1 Cubic Ft. The new 2019 Ford Escape, as seen from the table above, tackles the 2019 Kia Sportage head on, and it more than meets the competition! The new Ford Escape offers more towing capacity and power, as well as the slight edge in terms of horsepower! 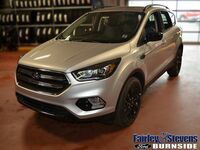 The new 2019 Ford Escape also offers more cargo capacity with the seats down, meaning that you can bring more with you while towing more toys! The Ford Escape also features a great safety rating, allowing you to feel secure while on the road, no matter where your drive might lead you! 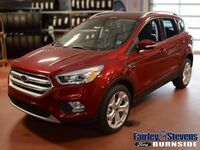 The new 2019 Ford Escape is a vehicle that offers amazing power, cargo capacity, and safety for you to enjoy! This SUV tackles the competition without worry, not holding back for a moment! Contact us at Fairley & Stevens Ford today to learn more about this great vehicle!